Photoshop Bangla Tutorial or Graphic Design Bangla tutorial, whatever you say, this video fits in for both praises. Photoshop Bangla Tutorial or Graphic Design Bangla tutorial, whatever you say, this video fits in for both praises. Helping the people who are interested in learning graphic design, need help with building their career as a freelance graphic designer. I mostly publish Photoshop graphic design freelancing and outsourcing Bangla tutorials. 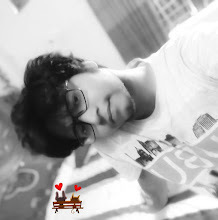 ♥ i'm Abu Naser ♥ New videos very often ♥ I read every single comment. I will respond if you want. ♥ Thank you for reading the description you beauty :) This video is not for the photo editors. It's specially created for the people who are interested in doing design work in Adobe Photoshop. I have used Photoshop CC 2015 to record this videos.